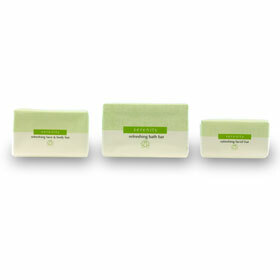 The Serenity hotel soap collection is popular among spas, health clubs, motels, and hotels! Packaging includes classic lotus flowers with soft green shades, designed to help your guests unwind after long days. Personal bars of soap and flip top bottles are perfect for a few nights stay. Features a subtle scent and design to fit any bathroom decor. Sold in three different bar sizes and a standard .75 or 1 oz. flip-top bottle for your guests convenience. 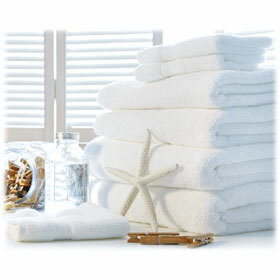 Add Serenity to your guest bathrooms for an added peaceful, sustainable appearance. Just wanted to note that this soap is perfect for our youth camp out in Colorado! Large quantities at a great price. The plastic tubes are ideal for the kids. The new website makes it easier to order things now!